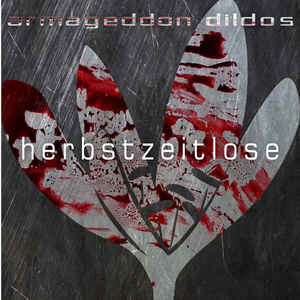 Background/Info: Set up in 1990 Armageddon Dildos definitely became one of the major EBM bands from the 90s. They released several groundbreaking albums and numerous EBM hits. After the band’s split singer Uwe Kanka struck back during the early millennium years. New work got released on irregular basis, but this EP is the first new work since the rather disappointing “Untergrund”-album (2011). “Herbstzeitlose” is meant as a solid teaser to the upcoming full length. Content: The EP features 4 new songs plus 7 remixes. The sound remains pure EBM-like, but once again less comparable with the early successful releases of the band. Since Uwe Kanka is the single member on board the ‘Dildos’ have found a different EBM direction. The new songs are more elaborated revealing multiple effects and even sophisticated arrangements. The vocals no longer express the rage Uwe sung with during the 90s. The most noticeable song definitely is “Resist (2.0)”, which remains one of the biggest hits of the band, but which has been reworked in a total new and different song only holding on the famous lyrics from the original chorus. Remixes have been made by Plastic Noise Experience, Kant Kino, Tolchock, Hell:Sector, The Psychic Force, Venal Flesh and Technoir. + + + : I first of all have to say that the new songs are more convincing than the last album of the band. Uwe Kanka hasn’t reconsidered his sound and influences, but simply became a better musician. Some of the songs maybe became too elaborate, but you don’t hear me to complain. The ‘new’ and totally different version of “Resist” is a great cut. Among the remixes I especially like the job done by Plastic Noise Experience and Kant Kino both empowering the EBM basis of the original songs. I also have to mention Hell:Sector for the guitar riffs injecting some metal-touch to “Resist”. 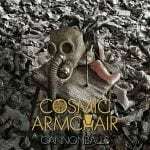 – – – : It’s probably because Armageddon Dildos remains to me one of the ‘best’ EBM acts from the 90s, but I still expect a bit more from this band! Don’t get me wrong, this EP reveals interesting ideas, but no real mega-hit! It could maybe interesting to see Uwe Kanka working with an extra EBM member to bring the ‘old’ power of the band back alive! Conclusion: Armageddon Dildos is back and I can only hope the new full length will surpass all expectations. This EP is honest, but not ‘hot’! Best songs: “Resist (2.0)”, “Mandy Crash”, “Resist – Old School Mix By Plastic Noise Experience”, “Resist – Hell:Sector Mix”.